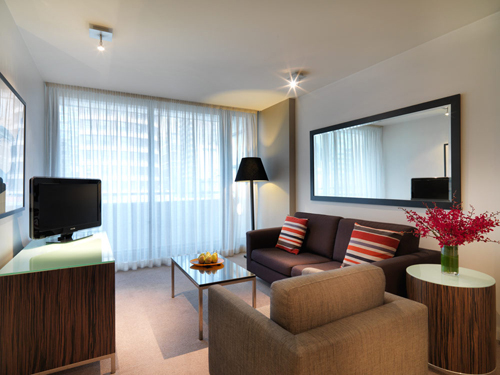 Adina Apartment Hotel Sydney, Harbourside is located in the heart of Sydney’s premiere entertainment district at Darling Harbour. As such, it is surrounded by a huge range of cafes, restaurants, bars and nightclubs as well as shopping and entertainment options such as the IMAX cinema, harbour cruises and a host of free public events and celebrations. 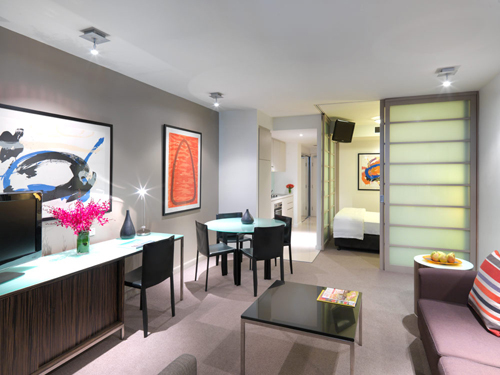 From here, guests are just a 5 minute walk from the CBD and a 10-15 minute walk from all of the New Year’s Eve celebrations on the Sydney Harbour, the Bridge, the Opera House and Botanical Gardens. 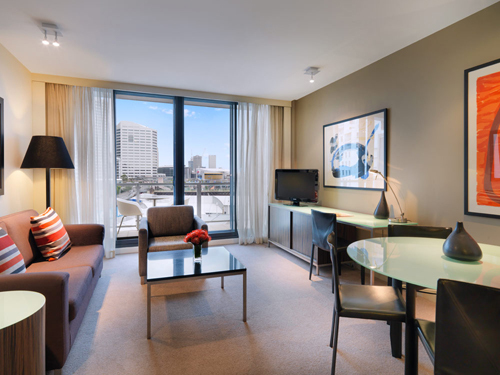 These contemporary studio- and one-bedroom apartments are the perfect option for Christmas and New Year’s Eve accommodation in Sydney for couples, friends and especially for families with full kitchens and kitchenettes, laundry facilities and generous living and dining spaces. 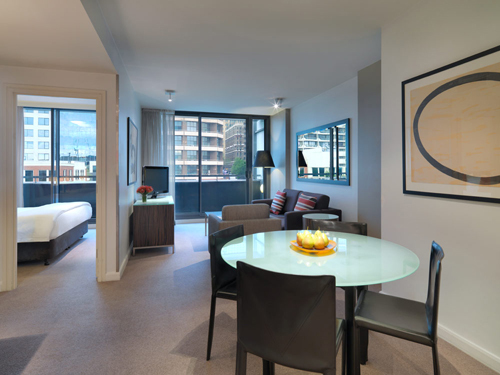 One bedroom apartments have spacious, private balconies and many have incredible views of the city or Darling Harbour. 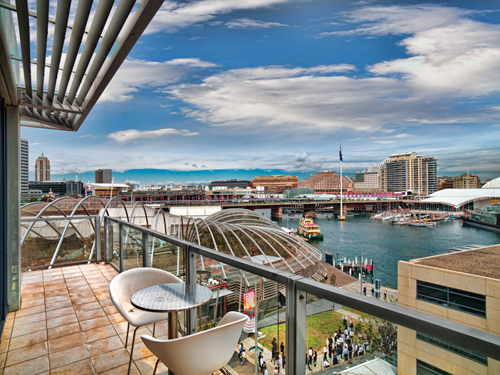 If you want to stay a little closer to your apartment on the big night itself, Darling Harbour always plays host to an incredible (and free!) programme of events on the 31st. There are partial views of the fireworks from Sydney Harbour Bridge as well as a staggering firework display of its own for you to enjoy with up to 90,000 other revellers! If you have small children or a just want to avoid the melee then why not watch from your balcony with a glass of champagne? Queen bed only, suitable for 2 people. 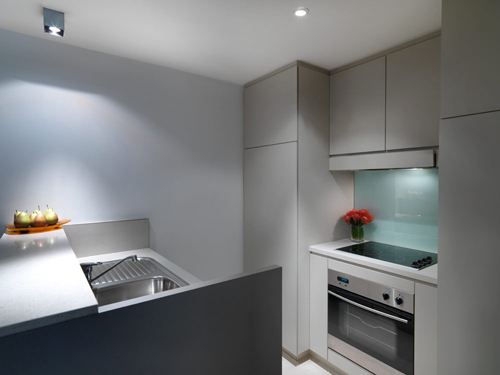 Basic kitchenette and balcony. 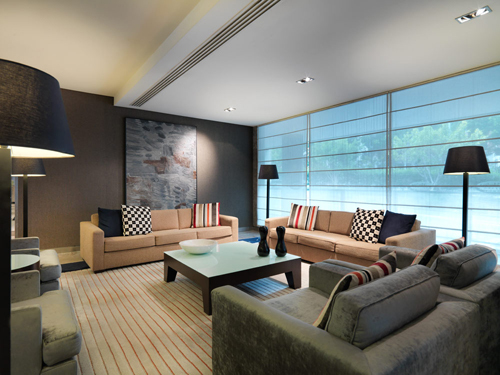 Does not have lounge, dining area or laundry. Queen bed only, suitable for 2 people. The Bedroom is in a partitioned alcove in the apartment. Full kitchen, lounge, dining area and laundry. Balcony. 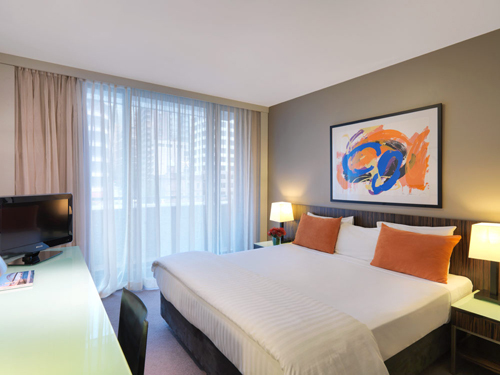 Queen bed + optional rollaway extra $50, Maximum 3 people. 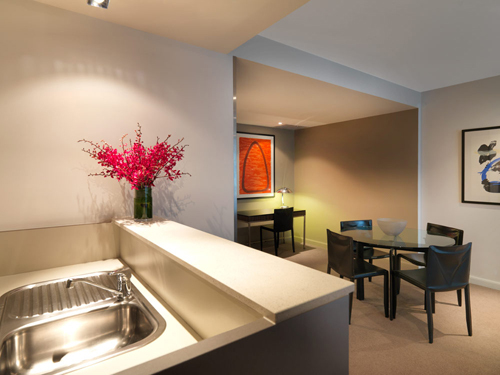 These apartments have a Full kitchen, lounge, dining area, laundry and balcony. 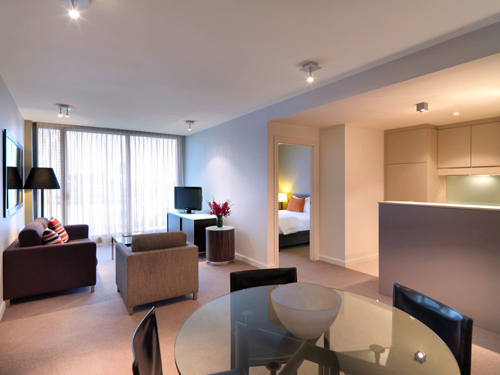 Queen bed + optional rollaway extra $50, Maximum 3 people. 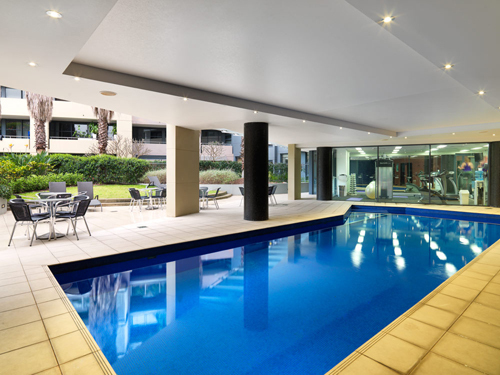 These apartments are Larger, with full kitchen, lounge, dining area, laundry and balcony. 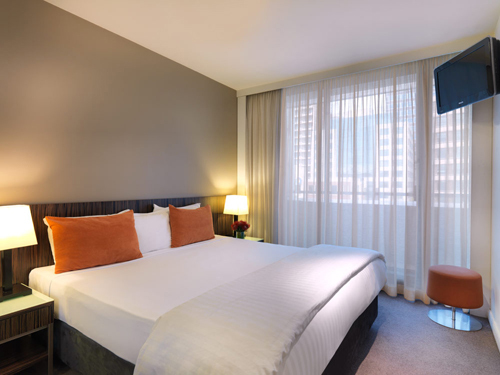 Queen bed + optional rollaway extra $50, Maximum 3 people. 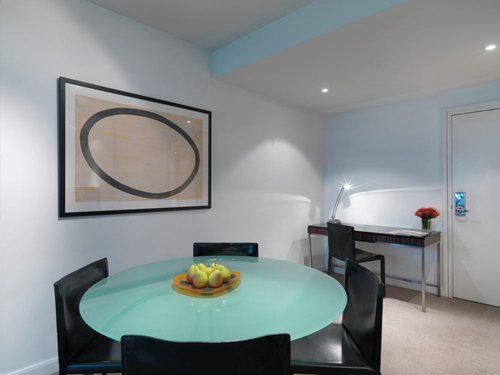 These apartments are on higher floors, with full kitchen, lounge, dining area, laundry and balcony with view. 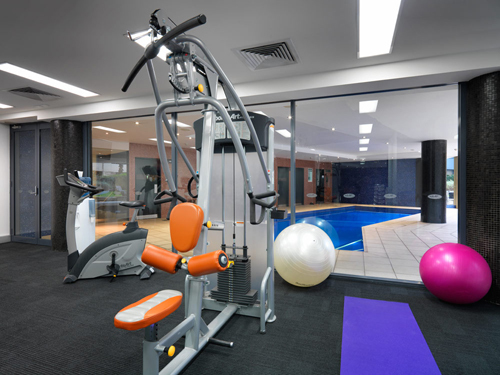 Adina Apartment Hotel Sydney, Harbourside is 9 out of 10 based on 2 customer votes & Yelp reviews.